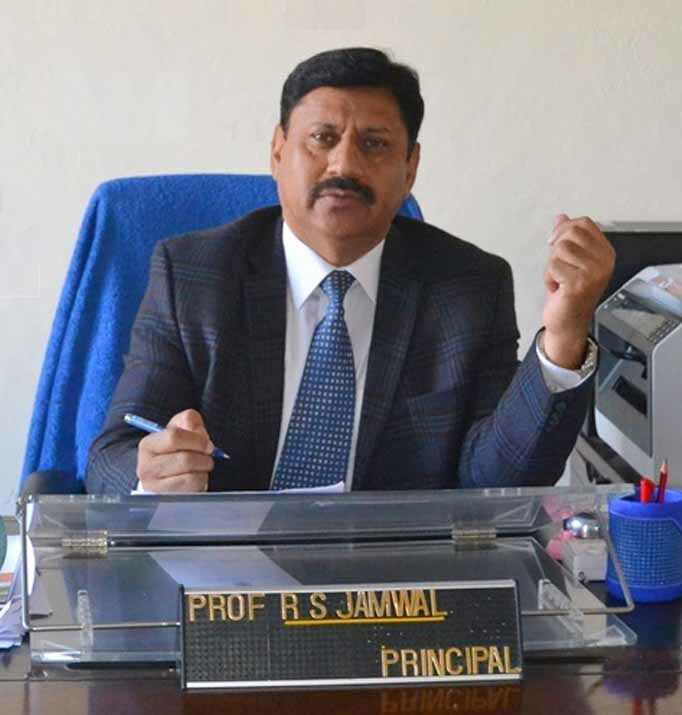 Sri Pratap Memorial Rajput College of Commerce, a prestigious name in the discipline of commerce, was founded in the year 1955 to keep alive the memory of Late His Highness Maharaja Pratap Singh of Jammu and Kashmir State. The commerce stream was introduced for the first time in the State by Dr. Karan Singh, the then visionary Sadar-e-Riyasat in 1955. The college, in its infancy, was housed in the Ajaib Ghar building behind the New Secretariat and at later stage it was shifted to the then Police Complex near Jogi Gate. Govt. 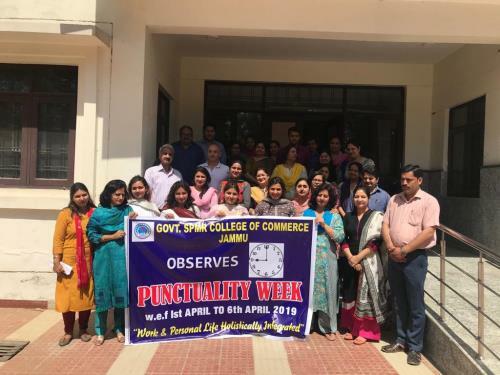 S.P.M.R College of Commerce; which is now affiliated to the University of Jammu, is proud of its alumni who are well known faces in the crowd by their sheer dedication and dint of hard work in their respective fields, thereby serving as a beacon light for the present generation of youth for whom this college offers a variety of career opportunities. Parent Teacher Meet on 30th March 2018 at 11.30 am in the college Auditorium. Engagement of Electrician & Data Operator on purely temporary/ Need Basis. 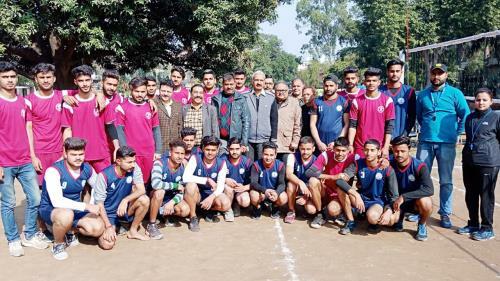 Inter collegiate Volley Ball tournaments of cluster university of Jammu held in the premises of SPMR College of Commerce. 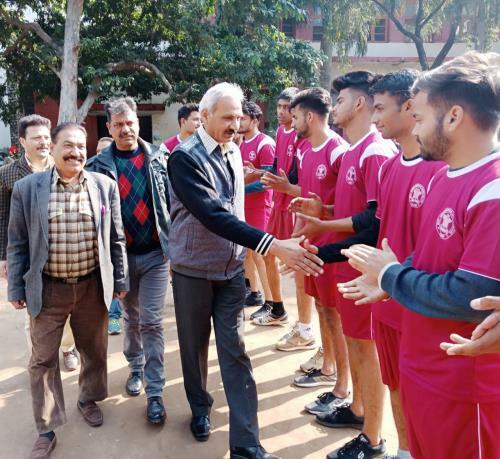 Principal, Dr. Anil Gupta interacting with the Players during Inter collegiate Volley Ball tournaments. 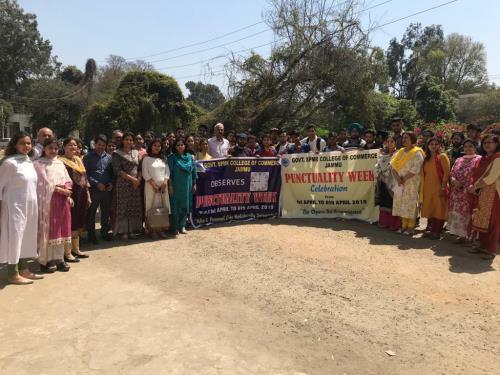 Call for papers on One Day State Level Seminar on "Decent Work and Economic Growth, Goal 8 of UN: Issues and Perspectives"